Do you have wrinkles above your lip, fine lines on your cheeks, or shallow scars on your face? Is your skin thin and delicate? Have you tried other fillers and found them too thick or lumpy? If so, Belotero may be the answer. Belotero is an injectable gel filler that’s made of hyaluronic acid, a type of sugar molecule that’s naturally found in your body and binds moisture to keep your skin smooth and plump. It’s the same ingredient that’s found in Juvederm and Restylane but formulated in a different way. It’s most effective in fine lines and superficial wrinkles, especially in thin-skinned areas. Studies show that Belotero spreads between the collagen fibers of your skin more evenly than other fillers, giving a soft, smooth result. I especially like Belotero for fine wrinkles around the mouth, where other fillers may be visible through the skin. Since it’s very elastic, I can fill in wrinkles without changing the size or shape of the lips. 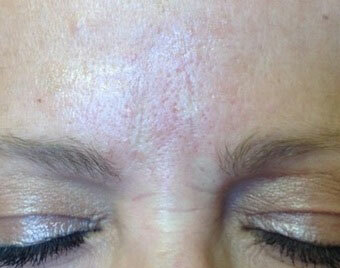 The most common areas I treat with Belotero are the wrinkles above the upper lip. It’s also a good choice for crows feet and fine lines on the forehead and cheeks, as well as shallow acne scars anywhere on the face. I often layer Belotero over Juvederm or Restylane. What’s it like to get a Belotero treatment? Since Belotero doesn’t contain an anesthetic, I might recommend using a numbing cream and/or ice pack before your treatment. Then, using a special, fine needle, I inject small amounts of gel at a time, until we see the desired results. The results are immediate, and often look even better after a week or two. Right after the treatment, the area may be pink, swollen, and/or tender for a few days, although many of my patients go back to work or out to dinner that day. Occasionally there may be a bruise, which can last several days. Belotero is slowly dissolved in your body, so the effect will gradually dissipate and require a repeat injection. It’s FDA approved to last up to six months or longer, although this varies depending on the area treated and the amount used. The beauty of it is that your skin looks better and better (and results last longer) if you maintain your treatments and don’t let it go away completely between visits.